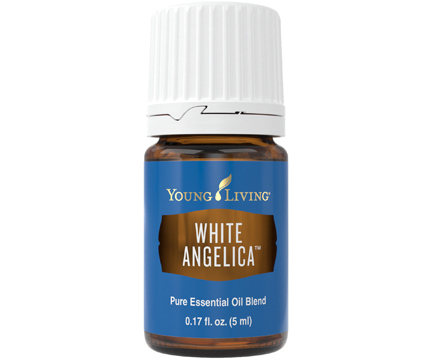 For a limited time, White Angelica will only be available to members who are on Essential Rewards. Lovingly harvested from plants native to exotic destinations around the world, the 10 essential oils in White Angelica™ come together to create a one-of-a-kind blend. Geranium, Ylang Ylang, Melissa, and Rose provide sweet, floral notes; Bergamot and Melissa offer a boost of bright citrus; and Myrrh, Northern Lights Black Spruce, Hyssop, and Sacred Sandalwood balance the blend with a warm, woodsy base. With the aroma of White Angelica essential oil blend, you can create a positive atmosphere and inspire feelings of security and optimism—no matter what life throws at you. Members also love White Angelica for its skin-beautifying benefits. Add a couple drops to your favorite lotion to give your skin the TLC it needs. Diffuse it to create a peaceful, nurturing environment in any space. Topical: Apply 1-2 drops to desired area, dilution not required except for the most sensitive skin.